My yoga journey began while I was attending the Aveda Institute. Aveda is derived from the word Ayurveda. As I studied Ayurveda at the institute, there was much talk about yoga . I decided to go and try a class and well, the rest is history! Walking out of my 1st class, I remember feeling a sense of peace and calm, yet I was alive with an energy that I had never felt before. Years later, these same feelings keep me returning to my mat as a student and as a teacher. My yoga practice continues to guide me through the challenges and joys of life. I enjoying teaching and attending warm and hot vinyasa as well as yin. My teachings are inspired by my students, my teachers, the world around me and the experiences of my own life. Off my mat, I enjoy spending time with my family and our dog Sanibel. You might find me walking and hiking the parks, bike riding or paddle boarding. My husband Jonathan and our 2 sons, Sullivan & Sawyer are quite the adventurers, so you might find me zip lining through the tree tops or learning to slackfline in the woods. My yoga journey began when my wife Erin talked me into going to a class by myself. She had been practicing yoga for about 10 years and I would always see her come home with a smile on her face. I was curious to see if the same would happen to me on my first class. Let’s just say that I came home humbled that first evening. I had no idea what I had done that first night to be so sore the next day, but I could not wait to go back and do it again. She went on to get her yoga teacher training certification and decided to fully commit to yoga being her full time gig. I saw her living out her dream of living the yoga life and life was good. In 2014, I was diagnosed with an extremely rare and aggressive form of cancer and my life was turned upside down. I turned to yoga to help with my rehab from surgery and all of the chemo and radiation treatments. It was during this time that I truly understood how yoga can change a person’s life. I credit yoga and the instructors at Flourish for helping me survive through the most challenging mental and physical turmoil I had ever been through. With this new found respect for what yoga did for me, I entered into the yoga teacher training at Flourish in the fall of 2016. I wanted to share with others the gift that yoga gave to me. I do enjoy all styles of asana, yin, gentle, warm, and hot yoga. But it is the practice of the other 7 limbs of yoga that brings everything together. My journey crossed the path of yoga around 1995 as I looked to create a healthier lifestyle. It has been an ever evolving and changing experience that has deepened and enriched all aspects of my life. I began the practice of yoga to get stronger, and somewhere along the way realized yoga can heal not only the body but also settle the mind. It has changed and enriched every aspect of my life and relationships. I find this practice to be a metaphor for life that helps us hone the tools that we need to not just survive our hectic lives but to live them and love them! As a teacher, I look to encourage students to reconnect with their bodies and intuition; helping them realize how powerful, loving and happy they are beneath all the junk they don’t need. My teaching style is physically challenging and a compilation of every teacher and student I have had the joy of practicing and studying with. Expect to sweat, smile and let go of the outside world. When not teaching or practicing yoga, you will find me passionately spending time with my amazing and inspiring husband, Mike, and twin 14 year-old girls, Sophie and Amelia. Fitness and health is a family affair with my triathlete husband and a daughter with one tri under her belt already! In my free time (ha) you may find me on a soccer field, or at track meet… or searching new functional movements hacks, doing yoga on my paddleboard or working in my garden, tending our hens or cooking! Jessie found yoga when her husband gave her gift certificate to a local studio. From her first flow she was hooked and wanted to share her passion for yoga with others. 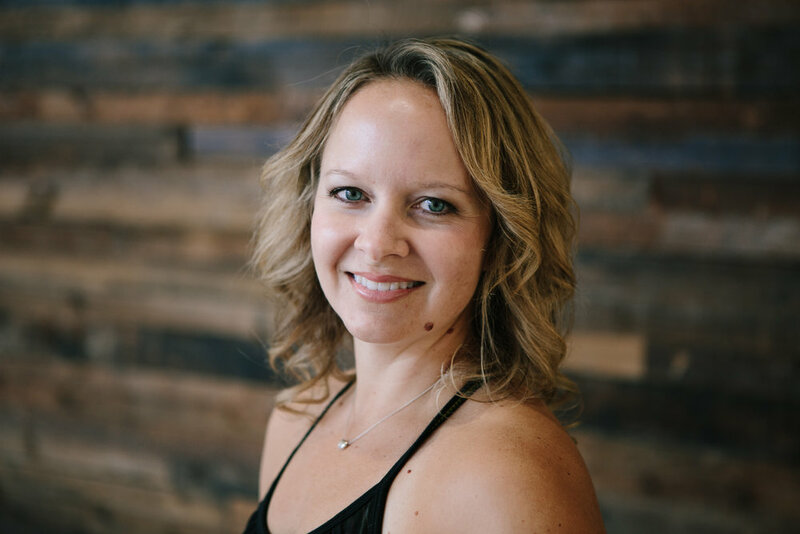 As a practitioner, Jessie loves teaching not only the physical benefits of a regular practice, but also sharing the mental benefits too. 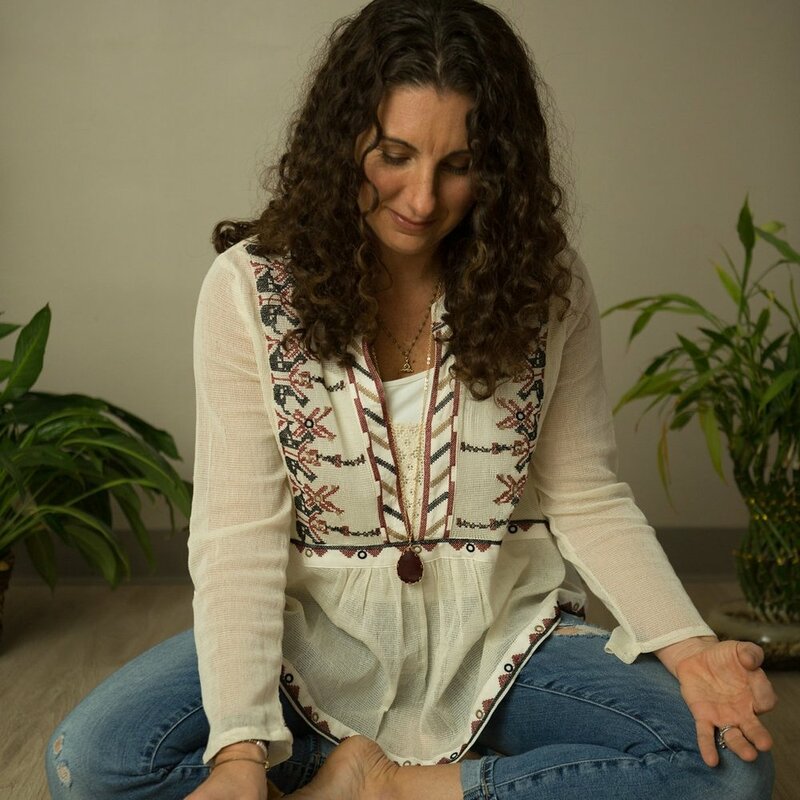 A diverse yogini, she finds beauty in the fluidity and mindfulness of a soulful vinyasa-flow for beginner, intermediate or advanced students. Jessie also works with baby boomers to see limited mobility as an opportunity to find a new flow in their lives with gentle chair yoga and pranayama techniques. Jessie is a wife, mother and avid traveler. When traveling, she often finds that the best part of the trip is finding a yoga studio and enjoying some time on the mat with the locals - proving that yoga is the same in any city, country or language. Jessie completed her 200 RYT at CITYOGA with Nikki Myers, Marsha Pappas and Dave Sims. In June of 2015 Jessie received her SUP Yoga Certification from Stoked Yogi with Amelia Travis. She is also a PaddleFit Level 1 Certified Coach. Jessie is currently an E-RYT200 designation with Yoga Alliance. My yoga journey began over 12 years ago in a local class led by a physical therapist/yoga teacher. I came to yoga looking for the fitness and found something much better. I found a studio in Indianapolis and drove over 2 hours multiple times per week to experience yoga. Since moving to Fishers and finding Flourish I have completed my 200 hour YTT in 2016. I love Vinyasa and more recently discovered Yin yoga. I hope to encourage students to find balance of Yin and Yang through these 2 styles of Yoga. As I am also a nurse I like to incorporate the benefits to the physical body in my classes. I encourage students to tune into their bodies through breath, asana, and meditation. Yin has given the opportunity to further explore the effects of postures on the subtle body as well. I am currently participating in a Yin certification program. I love being with my family, sharing yoga, traveling, and reading. Casey VanPutten is originally from Schaumburg, Illinois but has been living here in Fishers for the past seven years. She enjoys doing yoga, zumba, and being outside with her husband and two children in her free time. Her love of sports has allowed her to play at the collegiate level, and coach both basketball and softball at the high school level. 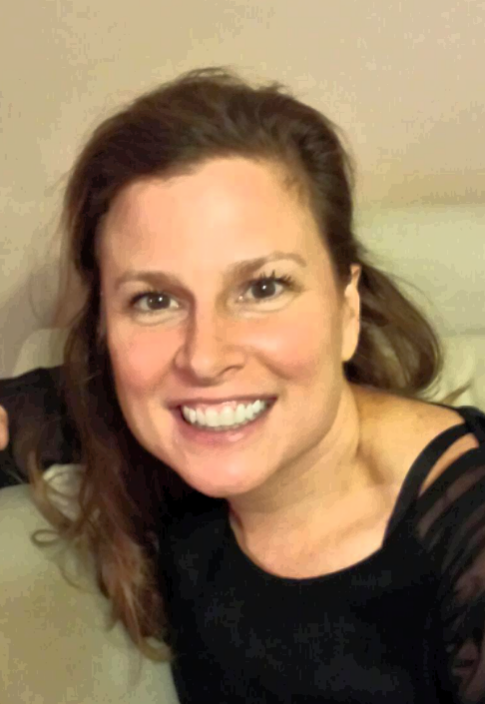 Casey holds a bachelor’s degree in psychology and a master’s degree in school counseling. 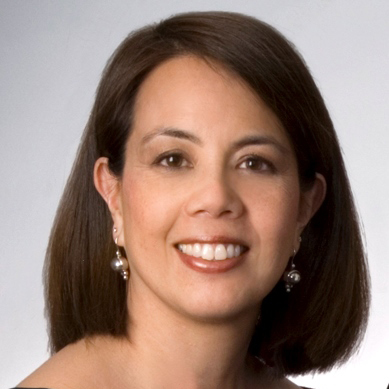 She has worked in dual language programs, special needs programs, and as a high school guidance counselor. 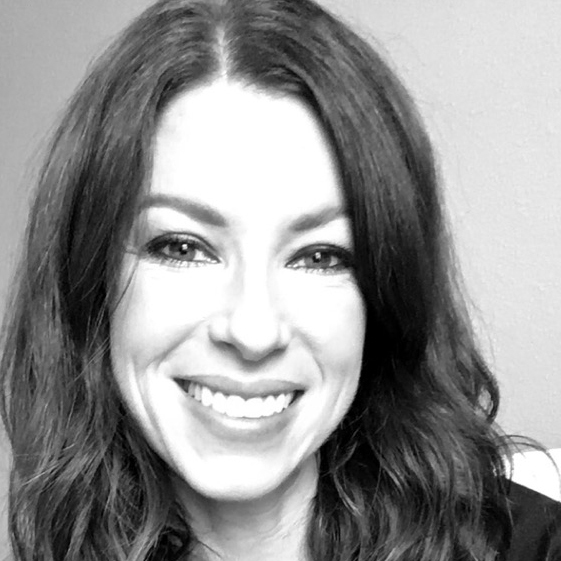 Casey is extremely passionate about helping others and creating awareness of alternative healing modalities. As an EFT Practitioner, she is now teaching a modality that has not only changed her life but the lives of those around her. EFT (Emotional Freedom Technique), also known as “tapping,” has been scientifically proven to reduce stress on the body. When certain acupoints are stimulated by a person tapping on them with their fingers, the amygdala (the part of the brain in charge of the stress response) is turned off. This allows the brain to think differently about events that might create fear or anxiety such as a sports performance, an illness, a speech in front of the class, or a major exam, etc. It can also help to bring healing to events in the past such as the death of a loved one, an assault, divorce, or the witnessing of a tragedy. EFT is slowly becoming more mainstream in the U.S. as professional athletes, motivational speakers, and gurus such as Oprah Winfrey have begun endorsing it. Mike began practicing yoga in 2007 as a means of augmenting his existing fitness regimen. He soon discovered that the physical benefits, while considerable, were only part of what yoga had to offer. In 2010 he completed the Yoga Alliance 200 hour teacher training certification at Invoke. Mike finds that yoga helps him handle the stress associated with work related travel which has taken him to every state except Alaska. This same travel has allowed him to pursue his yoga practice in a number of states. Mike is grateful for the teachers, classmates and students that have and will continue to inspire him. My yoga journey began in 2005 when I became pregnant with twins and needed an alternative to high impact exercise. I quickly realized yoga was much more than just the physical asana practice. During prenatal yoga I instantly connected to pranayama as it was invaluable during my pregnancy. After I had my two boys, I returned to my mat as quickly as possible. All I knew at the time was that after each class, I felt a transformation of my mind, body, and spirit. I was more at peace, more content, and had more inner & outer strength. I have come to my mat during the happiest time in my life as well as the darkest. No matter where I am, yoga is my home. Yoga is my peace. Over the years, as I contemplated the question, "If I could do anything in this life, what would it be?" my answer always circled back around to yoga. This led me to the Flourish Yoga Teacher Training program. I began with an open mind & heart – ready for the universe to point me to my true North. Each step along my teacher training journey encouraged me to share yoga with others. I completed my RYT200 in 2018. I love working with all levels of students. My passion lies in making yoga accessible to everyone - no matter age or place in life! I am grateful for each breath, each day & the opportunity to share my yoga passion with others. ~ Namaste. Kat started practicing yoga while in college. Being involved in dance and athletics her whole life, she was drawn to the physical nature of yoga. However, she soon discovered that yoga not only provided a challenging and balancing workout, but also a challenge and balancing for her emotional and spiritual self. In 2013-2014, she completed her 200-hour Yoga Teacher Training program through Shamrock Wellness, under the direction of Eric and Linda Banter. She continues to enjoy discovering her journey and seeing her students’ journeys unfold through yoga. I took my first 200 hr Yoga Training in 2004 and again in 2009 with Eric Paskel. I journeyed with him to India to study Vedanta with Swami Parthasarathy at the Vedanta Academy. I’ve attended many workshops and retreats to continue my studies of yoga. With this practice of yoga, connecting breath with movement, leaving behind our past and without anticipation of the future, I hope to help inspire transformation , love and courage to become our best self. My yogic journey starts many years ago, through the ebb and flow of life; with all the change, the challenge, and so much joy, yoga has been a foundation to keep me grounded and steady. In 2007, I was diagnosed with cancer and my steady grounded life became a little rocky and unpredictable. The added restrictions or limitations of my life-style, eating habits, and mental well-being were surprising. My general sense of safety was shattered. After several months of surgery, recovery, and stir-craziness, the doctor released me to yoga. I was completely over the moon! To get back to the mat and begin feeling “normal” sounded like heaven. Oddly, looking back I can’t remember my first ever yoga class, but I can remember that first class back to the mat after the doctor’s approval. The simple sense of peace and happiness filled every fiber of my heart and soul. It was like returning hOMe. A decade later, I had a great teacher remind me “Everyone has a different path to follow. We are all unique and special.” This inspired me!!! We all take different roads to find our way. And daily I am reminded, life is full of infinite opportunity, if you are willing it can lead to boundless potential and endless possibilities. Like flying your first Crow, if you are willing to let go of the ground, you will soar! I completed my RYT200 in 2017 and I am actively working towards my RYT500 certification to personally deepen my understanding of this ancient moving meditation. I love vinyasa! I love the simple connection of breath and movement it is empowering, centering, and extremely calming. My hope is my students will find the same sense of joy in their journey as I found in mine. Namaste. Alli Steinke discovered yoga during her first pregnancy in 2008 and has never turned back from this life changing PRACTICE. After completing her 200 hr RYT early 2013 she continued apprenticeship at Flourish Yoga + Wellbeing for over 5 years. She is also the founder of the Fishers YMCA Water Yoga Program. This is an innovative practice combining yoga in the comfort of a heated pool allowing people who normally might not be able to practice on land enjoy the countless benefits of yoga. 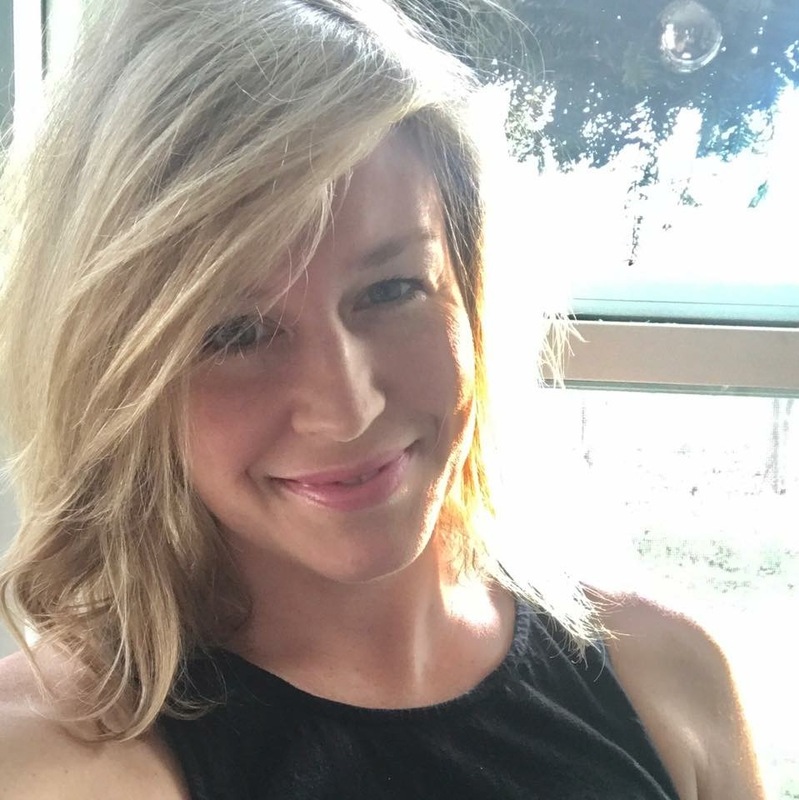 In addition she teaches prenatal, yoga for kids, offers Mommy & Me classes and assists YES to Vets (Yoga Education and Services for Veterans) under the guidance of Nancy Schalk. 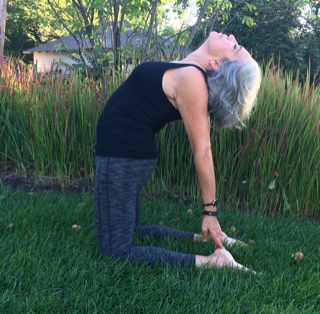 Her passion is sharing the light and love experienced through yoga with everyone she meets. Alli focuses on a fun and playful style that is inviting to all walks of life from young to old and everyone in between. My yoga journey began a couple years ago after my family moved to a new city. I was searching for a workout that not only helped my body physically but also helped me mentally. I attended a yoga class at my local gym and I have been in love with yoga since! After being involved with intense trainings for triathlons and many different running races, I was amazed how yoga made me feel after the class was done. Not only did I feel like I got a great workout, but I also felt almost euphoric. It was such a great feeling then and it has changed my life. After taking classes and practicing for a year and a half, I decided I wanted to take my yoga journey to the next level and become a certified yoga teacher. My yoga practice continues to guide me through all of lifes challenges and joys and i'm so grateful of its benefits. It gives me so much joy to teach and grow all of the students who come to their mat and i'm humbled I get to share all of the rewarding benefits yoga has to offer! My path to yoga was by no means a clear one. After years of helping a close family member struggle through addiction and then going through a difficult time in my own life, I found myself at a rock bottom. Ready for a new beginning, I went to my first yoga class and found exactly what had been missing in my life. After a few months of daily practice and everything intuitively telling me that I should pursue teaching, I decided to enroll in YTT at Flourish. The challenges that I had faced, the twists, turns, and experiences that had turned me upside down were exactly what needed to happen to give me the tools to find my purpose. To me, being a teacher allows me to share the love and awakening that yoga has given to me in my life. My teaching is a reflection of how far I’ve come, and is my opportunity to share the beautiful practice of yoga and gift of self love with others. I am humbled that yoga found me and gratitude for this practice, my students, and my teachers is what I allow to lead me to my mat each time that I practice. I believe yoga to be a lifelong practice and in the power of connecting body to movement with breath. I look forward to every opportunity to share this practice with anyone who finds themselves on their mat in my class!